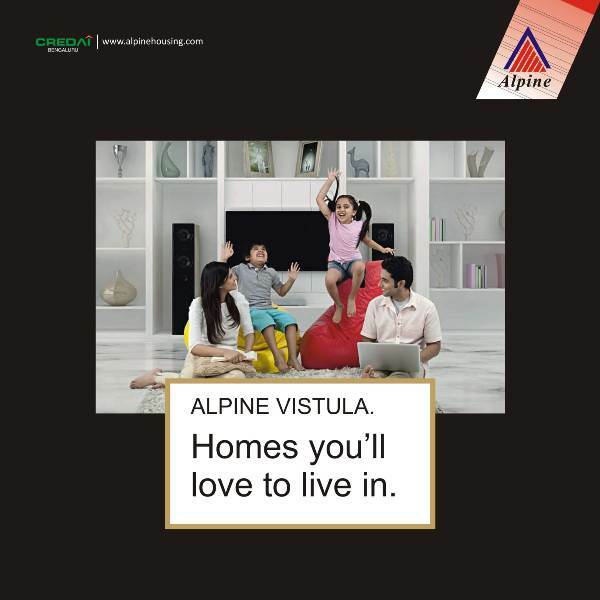 Conveniently situated near Sai Baba Ashram in Whitefield, Alpine Vistula sits among a variety of respectable Schools, Hospitals, and prominent Shopping Malls. These apartments offer great value-for-money and are fully-equipped to meet all your needs. It's sprawling Clubhouse and recreational amenities include: Health Club, Tennis Court, Swimming Pool, Kids' Pool, Gym, Squash Court, Table Tennis arena, Kids' Play Area, and is even equipped with provisions for Rainwater Harvesting Systems. Feel entirely at home, close to everything that truly matters! Browse through this site for more details.